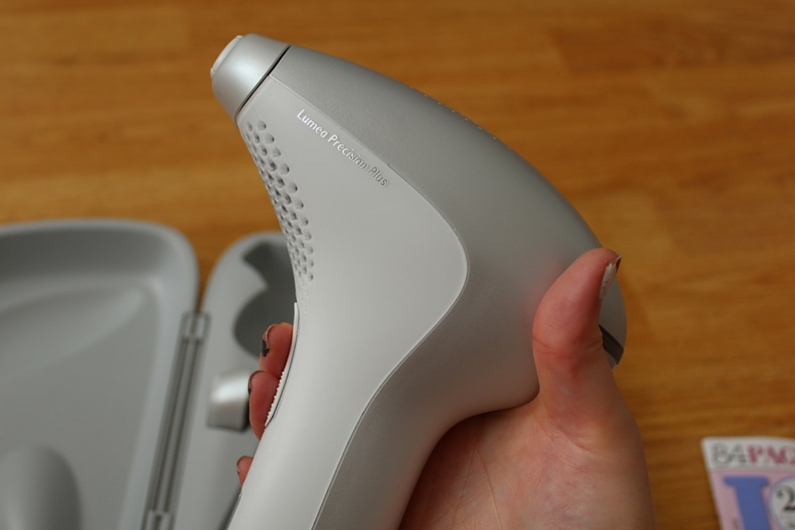 A couple years back I went out and splurged on a Philips Lumea Precision Plus laser hair removal gun and it was such a good purchase. This post has been a long time coming as I really wanted to share and give my opinion on this which I have been using solidly for about a year and a half now. Come on now we have all experienced a shaving rash and man o man is that sore. I am a particularly unfortunate person that 9 times out of 10 I get quite sore after underarm shaving. I end up all red and irritable that even putting on deodorant starts to burn a little. But shaving less will clearly mean less of this pain. It also thins the hair out so even when you do have to shave it turns around to be 9 times out of 10 that there is no pain at all. Just a case of holding it at the right angle and pressing a button, that is it really. It honestly is dead simple and takes me a matter of minutes after hopping out of the shower to do. Obviously larger areas like your legs take a longer time to do but its well worth it in the end. It comes with a charger so no fuss of changing the batteries and a little hard protective case so you can throw away all of the boxing if you wish and its still protected in a little square box for easy storage also. I know it is a lot of money to spend all in one go but in the long run it really is worth it. I started off only using this on my underarms but now I also use it for bikini line and legs. Saving myself money on waxing and all the different razors and shaving foams I used to have to buy. Of course you will still have to buy a razor every now and then but not using that at much as you would normally clearly means that it is going to last longer too. 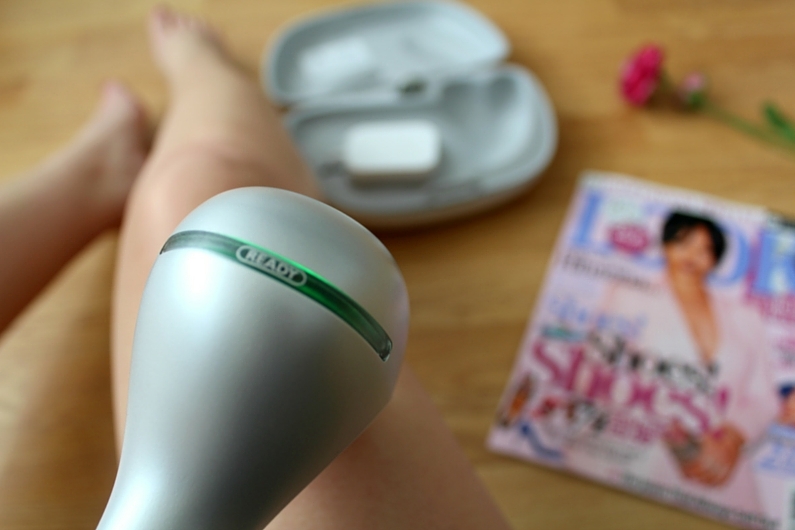 When you get a wax your skin is left with that silky smooth feeling that you are never going to get from shaving, however the laser does get you there.. After a few uses (giving the hair time to reduce and thin out) you can shave and enjoy silky smooth skin for days before you will have to shave again. So it has got 'Precision Plus' in its name so you obviously have to be expecting to be able to get precise bits of hair at odd angle right? Right. It had multiple nozzles for these hard to get places, the small nozzle is particularly aimed at facial hair and the larger nozzle for the body. I have pretty fair hair anyway so facial hair is not something I really have to deal with so I can't say I have tried that side of this, but the small nozzle does make this an option if needs be. In the instruction manual it does highlight that it works best on certain skin types and hair types, for example fairer skin and darker hair works best. So would be best to read up on this first before buying. Obviously it is a lot of money to spend all in one and on just one thing. But I did try out a older cheaper version of this before I tried out this one and it really wasn't as good, I barely saw any effects. So the money is worth it if you are willing. If you stop using it the hair will grow back - not all of it though. There was a period of time over summer last year where I moved house, went to Glastonbury and then on holiday all very quickly one after each other and it just wasn't possible for me to use it regularly like I normally would. The hair did grow back but its nothing a couple of zaps of the laser can't sort out. (So its not like a must do all the time or you are back at the start type thing- you can easily catch up again). Short burst of heat sometimes leaves skin a bit dry but thats nothing a little moisturiser can't sort out right? It does take time and it is expensive but you aren't really going to find a dead cheap overnight solution so I would say give it a go and see what ya think.. This article you have composed has been very useful in our exploration. An aspect of my responsibilities obliges me to remain on top of this theme.